A few years ago my sister introduced me to a new Italian dish. See she has a bad allergy to basil, fresh or dried, which lead her to an alternative to pesto and traditional red sauce. 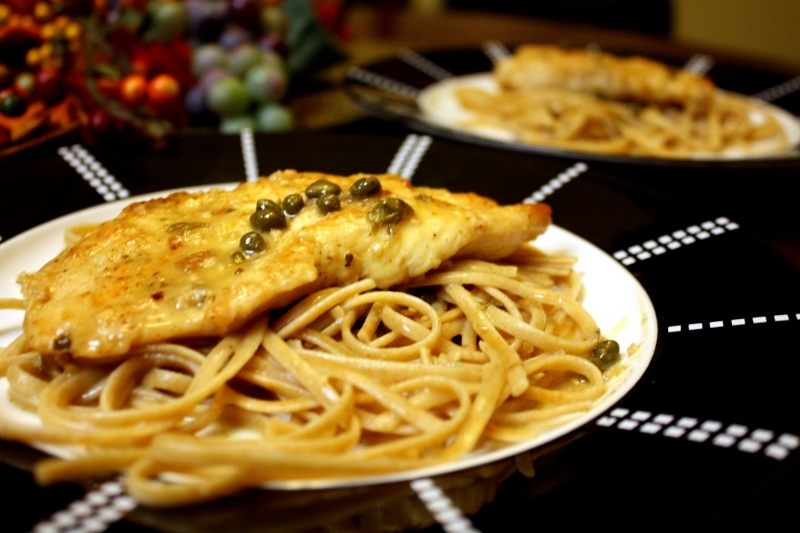 Lemon, wine, butter…and capers! 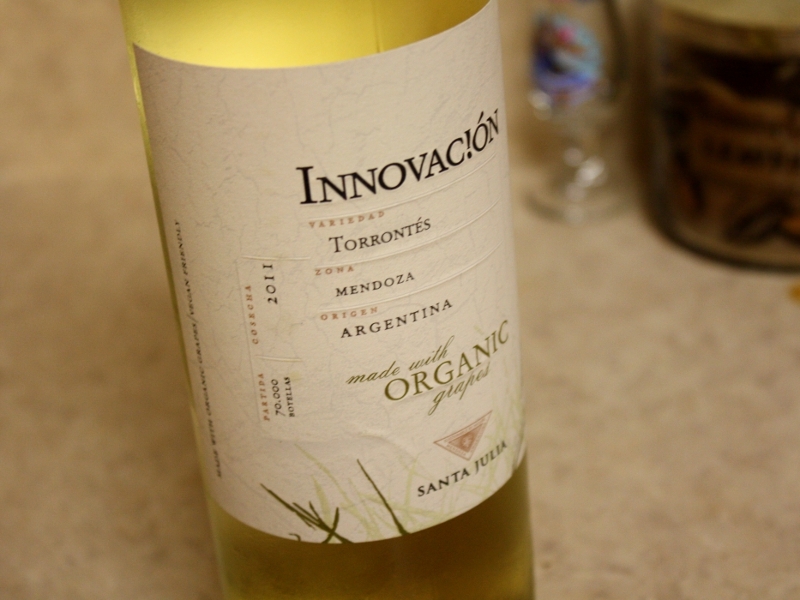 Best part is you get to finish the wine with dinner! 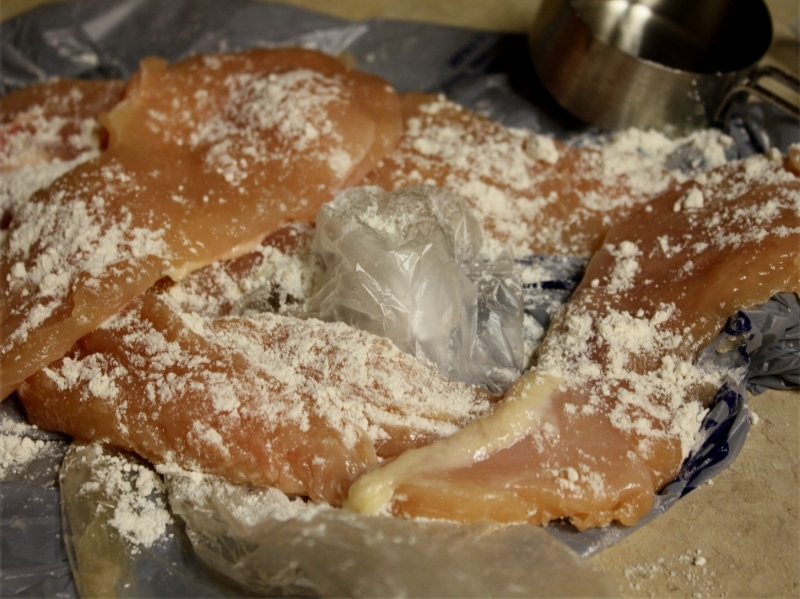 Cut, pound and flour chicken. Add butter to hot pan and cook chicken. Add wine, lemon juice, capers and cold butter pan. Put 6 tbsp. butter into a large skillet over medium high heat. 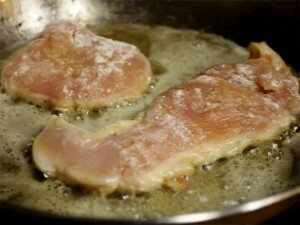 As butter melts, take thin chicken and sprinkle with flour, salt and pepper. 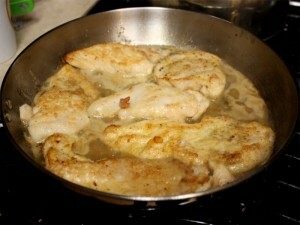 Once the butter is melted, add the chicken and cook for 4 minutes per side. When the chicken is cooked, remove from the pan and place on a paper towel. Add wine to hot pan to deglaze, scraping the bottom of the pan. 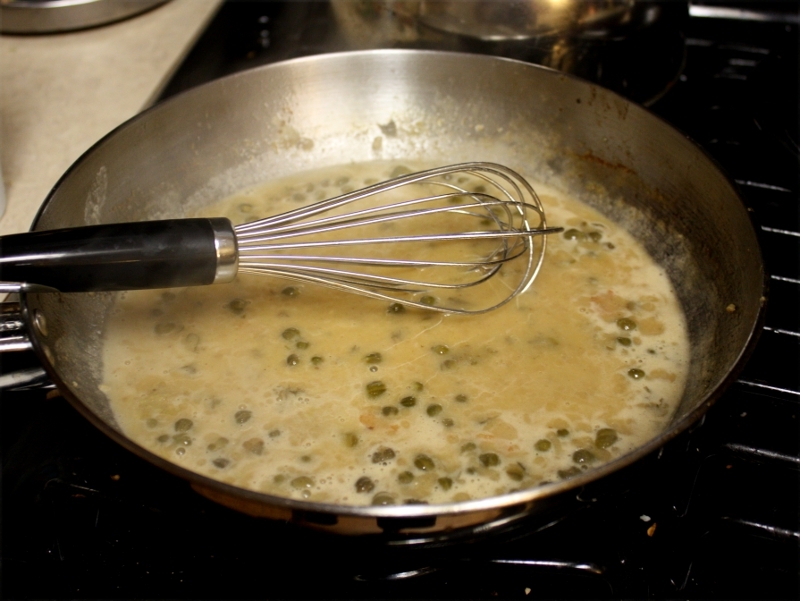 Add butter, lemon and capers to pan and stir. Season to taste. 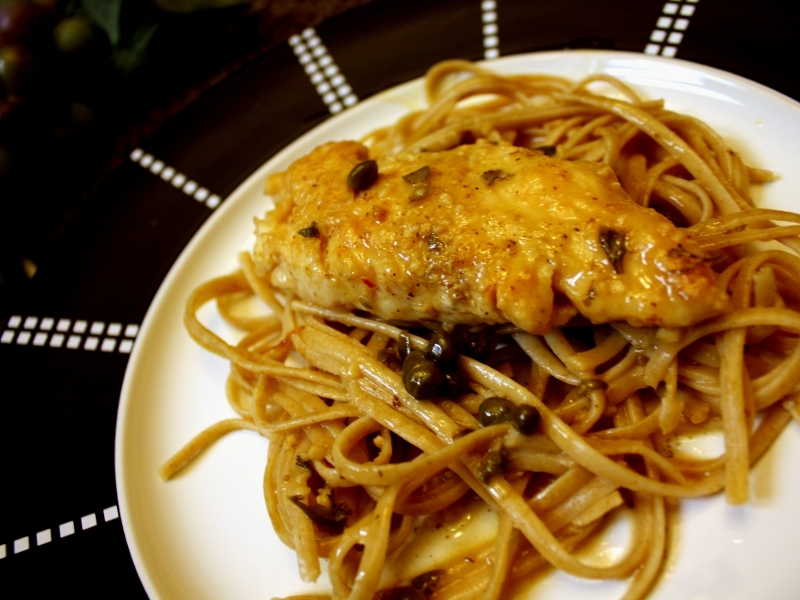 Prepare plate with pasta, chicken and top with sauce.